We are a home health care agency that serves your best interest. We believe that every client deserves the utmost professional care and services whether at home alone or confined to a hospital or rehabilitative facility. Talk to us! We look forward to meeting you soon. Do you know someone who could use our home health care services? Follow us on Facebook for continuous information & tips on living happy & healthy. Welcome to Royal Treatment Health Care Services, Inc.
For anyone whose health is under great stress, slight changes can result to complications. However, if there are professional nurses, therapists or home health aides readily available to provide support, good health can be maintained. This is our goal. Our agency can supply diverse and qualified staff to healthcare companies and to families who need help caring for loved ones. We do our job with the utmost compassion and competence. For a professional in-home or hospital assessment, please call 301-975-9457 or contact us online. We are there for you! 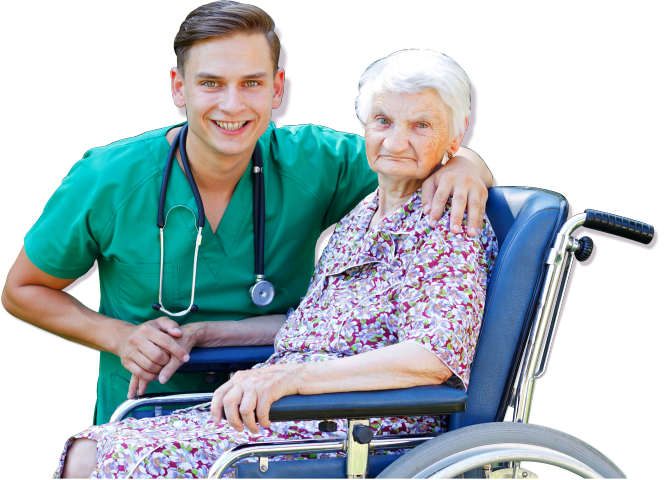 We can develop a home health care plan most suitable to your needs and means. Do you want to be part of our growing team? Royal Treatment Health Care Services, Inc. is looking for nurses, caregivers, aides and personal care attendants. Apply online today! Qualified applicants will be called in for further employment evaluation. We welcome your questions and concerns. Bring them up with our care coordinator. Get in touch with us today!